The IdeaPad Z370 features 13" LED-backlit display with 1366x768pixel resolution powered by a 2nd-Gen Intel Core i3 processor + integrated graphics. It comes with 500GB Hitachi HDD. Network options of IdeaPad Z370 includes WiFi 802.11 b/g/n, Bluetooth 2.1 + EDR. 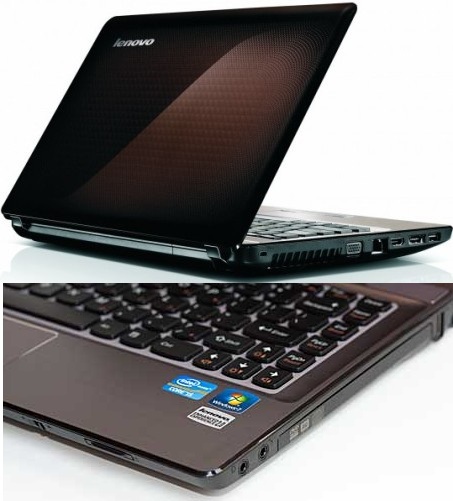 The Expansion ports of Lenovo IdeaPad Z370 includes 3 USB 2.0 ports(one is a USB/eSATA combo), a 5-in-1 SD card reader (SD, SD-pro, MMC, MS-pro and XD), built-in DVD-recordable optical drive, headphone jack, mic jack, VGA, HDMI, a small and slim AC charger and an RJ-45 Ethernet port. 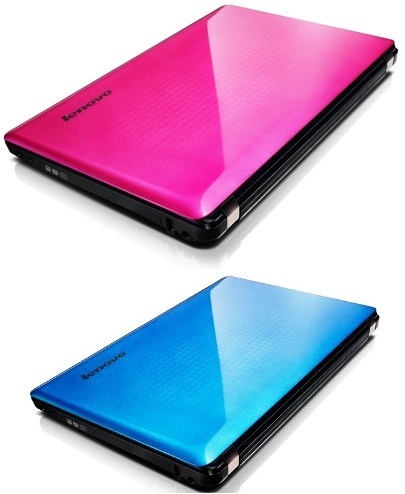 The Lenovo IdeaPad Z370 comes with SRS Premium Surround Sound enhancements, 2-megapixel webcam, 64-bit Windows 7 OS, metallic pinkish keyboard plate, has 3 color options Blue, pink and Charcoal Brown(default). It is 1.4inch/3.5cm thick and weighs 4.7lbs/2.13kgs. The 6-cell 48Wh 4400mAh Li-Ion battery goes on the back of the laptop providing 4 hrs of back-up on mixed tasks. IdeaPad Z370 comes with lots of customization options. With i5-2520M 2.50GHz + NVIDIA GeForce 410M dedicated graphics + 1 GB VRAM for an additional $300. With i5-2410M 2.30GHz CPU + integrated Intel HD Graphics 3000 + 4GB RAM for $630. It has options of HDD, OS, RAM, colors etc.. It comes with a base price of $599 and can goes up-to $899. 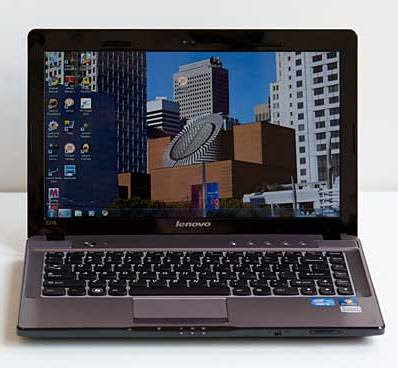 Tags: Lenovo IdeaPad Z370 laptops, Lenovo IdeaPad Z370 notebooks, Lenovo IdeaPad Z370, Lenovo IdeaPad Z370 features, Lenovo IdeaPad Z370 specifications, Lenovo IdeaPad Z370 review, Lenovo IdeaPad Z370 details, Lenovo IdeaPad Z370 availability, Lenovo IdeaPad Z370 specs, Lenovo IdeaPad Z370 images, Lenovo IdeaPad Z370 pics, Lenovo IdeaPad Z370 pictures, Lenovo IdeaPad Z370 imgs, Lenovo IdeaPad Z370 Network options, Lenovo IdeaPad Z370 Expansion options, Lenovo IdeaPad Z370 multimedia features, Lenovo IdeaPad Z370 price.